In 2017, a six year old boy named Levi from Victoria posed an interesting question: "What do you call a word that spells a different word backwards. When you try spelling most other words backwards, you get gibberish. Try it and see. But every now and then, you'll find a word that does spell something recognizable in reverse. Think about a word like "stop". If you spell it backwards, you get "pots". Or "stressed"...spell that backwards and you get "desserts"! Cool! So, it turned out there was no word to describe this curious occurrence. 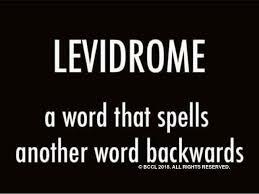 So Levi and his parents started calling them levidromes. They and their friends began keeping track of all the levidromes they came across. They then decided to ask the companies who write our dictionaries to add the word "levidrome" to the English dictionary. In the video below, you'll hear about how a word needs to be used widely by lots of different people before it can be added to the dictionary and be considered a real word. One year after he first coined the term "levidrome", the Times Colonist checks in on Levi's campaign! Now you can discover new levidromes by playing a friendly game of Hangman! Don't get hung up...uncover those levidromes before it's too late;) Click on the Levidrome Game image to the left! ​​At Rogers and Strawberry Vale schools, Mr. Richey started a contest and posted a bulletin board (see left) entitled: The Levidrome Challenge. For several weeks students submitted levidromes and Mr. Richey posted them on this board. After several weeks of collecting your levidromes, Mr. Richey tallied up all the submissions and awarded a prize--a $20 gift certificate to the next book fair--to the student at each school who came up with the most levidromes! ​A big congratulations to those two winners! Set phasers to stun and beam me up to cloud nine! 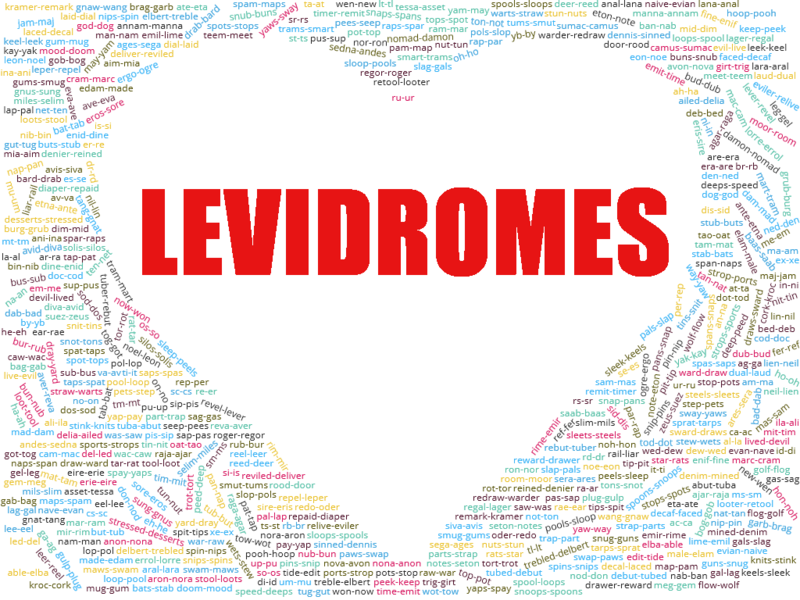 Mr. Richey had been posting a #levidrome of the day on Twitter, sharing some of the incredible levidromes students at Rogers and Strawberry Vale Elementary Schools have been submitting. Check out that levidrome board (below). Those are all unique levidromes--no duplicates posted. At one point, Mr. Richey shared this image on Twitter and look who retweeted! 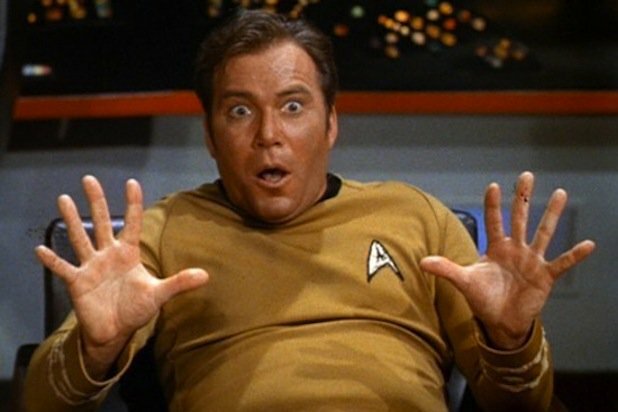 Captain Kirk (aka William Shatner). Wow. Read more about Levi's quest to get his word into the dictionary!